Win a 4-Pack of Tickets to The LEGO® Movie Premier and more! 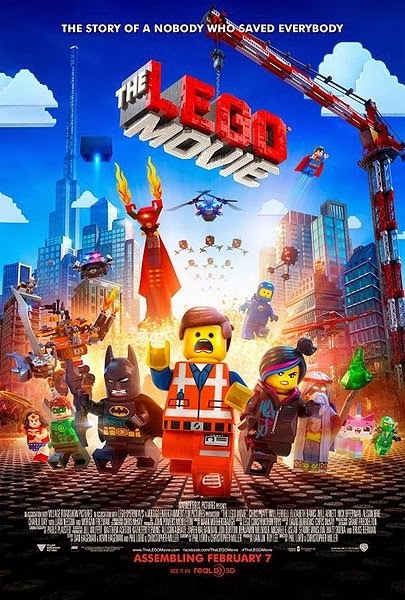 Still looking for that elusive screening pass to The Lego Movie? Here are two opportunities! From Legoland Westchester, you have a chance to win premier passes by attending their park this week. Annual Pass Members – Entering for your chance to win is as easy as visiting Monday, January 20th through Friday, January 24th! Purchase your tickets online and visit LEGOLAND Discovery Center Westchester Monday, January 20th through Friday, January 24th and you’ll automatically be entered to win a family 4-pack of tickets to THE LEGO® Movie Premier! The premier will be held Saturday, February 1st at a secret location. Terms and conditions apply. All decisions of LEGOLAND® Discovery Center Westchester are final. An email announcement will be sent to all winners. Winners are required to confirm attendance and register via the provided winner link. No cash value. Non-transferrable. Substitutions not available. All children must be accompanied by an adult. Winners must show valid ID for movie entry. The second opportunity is with a meetup group but specifically for fathers only. The meetup group NYC Dads Group is offering dads + 1 child passes for Feb 1st at Lincoln Square. At last check Sunday evening 1/19, there were still 14 spots available. Good luck and happy hunting for The Lego Movie tickets!